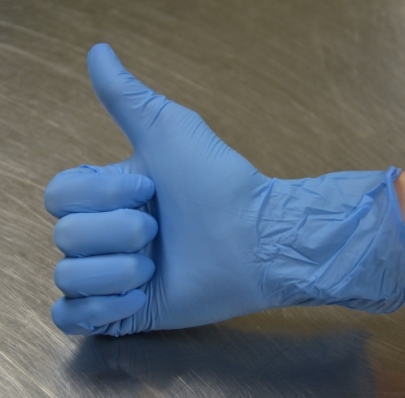 Inventory specialist at DoveLewis, Erin Sochocky, CVT, gives her recommendations for ways to lower hospital inventory costs and streamline the inventory process. Inventory is a large expense and can also be a large loss if it is not monitored properly. Sales of pharmaceuticals, medical supplies, surgical supplies, and vaccines are a sizable source of revenue for veterinary hospitals. I have been purchasing inventory for pharmacies, animal shelters, and veterinary hospitals for twenty years. I learned different tips from each field and have been able to stitch them together to come up with my current approach to inventory management. The following are some tips on how to save money on inventory. The easiest way to start analyzing inventory needs is to have only one or two people responsible for inventory. When you have too many people involved there is no ownership over the task. Allow the staff to have time set aside every week for them to do inventory properly. Using an Excel spreadsheet helps monitor which drugs are expired as well as the quantity lost, dollar amount, location, and general ledger code (Table 1). This data helps personnel determine if they are overstocking an item, if the item should be discontinued from stock due to a lack of usage and/or sales, and if they should limit where they stock that item in the hospital. Having tracked expired inventory for the hospital for five years, I have saved the hospital money by changing how I stock based on the information displayed in the spreadsheet. Consider the minimum and maximum amounts of inventory necessary. Different practice types will have very different needs. A 24-hour hospital requires more inventory and back stock, whereas a small equine practice will require much less. An effective way to determine minimum and maximum levels is to run reports on sales, purchases, and expired stock. Options for different types of reports should be available through the practice’s software. Seasonality is an important factor. For example, products such as activated charcoal will fly off of the shelves around the holidays more than other times of the year. Be prepared and stock up on seasonal medications, and return any overstock after the holiday rush is over. Higher patient counts during the holidays require more inventory of frequently used items (i.e., syringes, needles, IV fluids, e-collars, gastrointestinal drugs, pain medications, etc.). 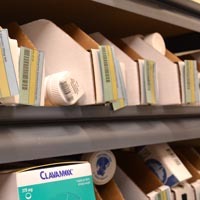 It is best to stock up the hospital a couple weeks before the holiday rush in the event items needed go on shortage due to increased demand closer to the holiday. Keep inventory lists and label shelves. Every item should have a specified place in the hospital and their place labeled appropriately. This will help prevent items from disappearing, being put back in the wrong place, and alert personnel when stock is low and/or out. Keep a current list of all the inventory items the practice stocks. 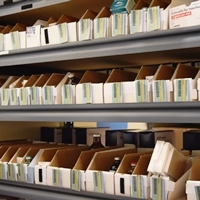 Maintaining a list for every area of the hospital allows for efficient weekly inventories. Foster close relationships with top vendors, and select one vendor as the primary source for inventory. When you have a primary vendor it is easier to bargain for lower pricing, be accepted into a credit incentive program, and receive special end of the year deals. Tip: Make time to meet with your representative from your primary vendor every few months. It is worth spending some time getting to know each other. This relationship will give you a better chance at getting deals and saving money. Limit your stock locations to logical locations. If a particular item is stocked in every treatment area but is rarely used the practice is losing money due to stocking for convenience. 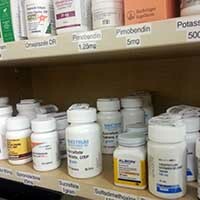 Some drugs are too costly to keep in stock, have a short self-life, or have very low usage. 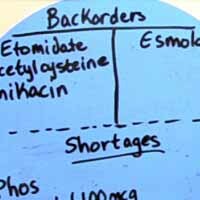 Sometimes it is wiser not to stock them and form a relationship with other veterinary hospitals, pharmacies, and human hospital central supply staff and borrow or purchase the drug only when needed. Most vendors offer quantity discounts when purchasing a set number of a certain item. It is occasionally worth stocking up if you know the inventory will be used in a few months. Simply going for the deal to get the lower price without knowing usage can result in losing that stock to expiration. Tip: Don’t fall for every discount offered; sometimes items are on sale because they are short dated. Keep an eye on inventory. If you purchased a large quantity of an item and it is not moving as fast as you thought, contact your vendor and ask if it is returnable. Typically, you will receive a full credit for the returned merchandise. Remember the acronym FIFO (first in, first out). It is very important after unpacking new stock to put it away such that the oldest product on the shelf will be the first used. This will reduce the likelihood of stock expiring. These are just a few tips to help you manage your practice’s inventory. Inventory is an investment and when your inventory management is done properly you can maximize your profit by reducing waste. Assigning a staff member to be responsible for your inventory will create ownership over the role and one of your hospitals main assets. Right now my hospital is starting to try and keep track of inventory that is used from our stock closet. This closet is now locked all the time with only certain people having access to it. Items are recorded on a sheet as they are put in and taken out. One person is in charge of keeping track of the closet, and a different person is in charge of actually ordering inventory for the hospital. Is this the right way to go about things? Caroline, that is really similar to our system. Our central supply closet is locked when the inventory manager is not in the building and members of the management team have access for emergency needs. They log out what they took so the inventory manager can assess stock and make sure there isn't any one item that is constantly needed. We have the same person keep track of central supply and the ordering, but if what you are doing is working then keep at it! Keeping that closet locked and making it a goal to have what you need on the hospital floor is the main inventory goal.